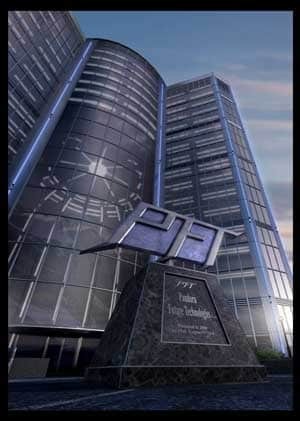 PFT (Pandora Future Technologies) is a defence contractor and innovative biotech company. A global leader in the fields of genetic, robotic, information and nano technologies. It’s main headquarters are located in Alaska but it has nine other US offices, along with three newer branches oversees in London, France and Germany. Founded in 2008 from a merger between leading defence contractor Pandora Tech owned by Eugene O’Neal and innovative technology company Cain Future Concepts founded by Prof. Francis J Cain. Since that announcement no further information on their progress has been made public.